← Hey – I Saw That! It’s a Curl… It’s a Press…Where’s My Weights? Love me some Bob Harper! This is one of my favorite workout DVDs from amazon.com. 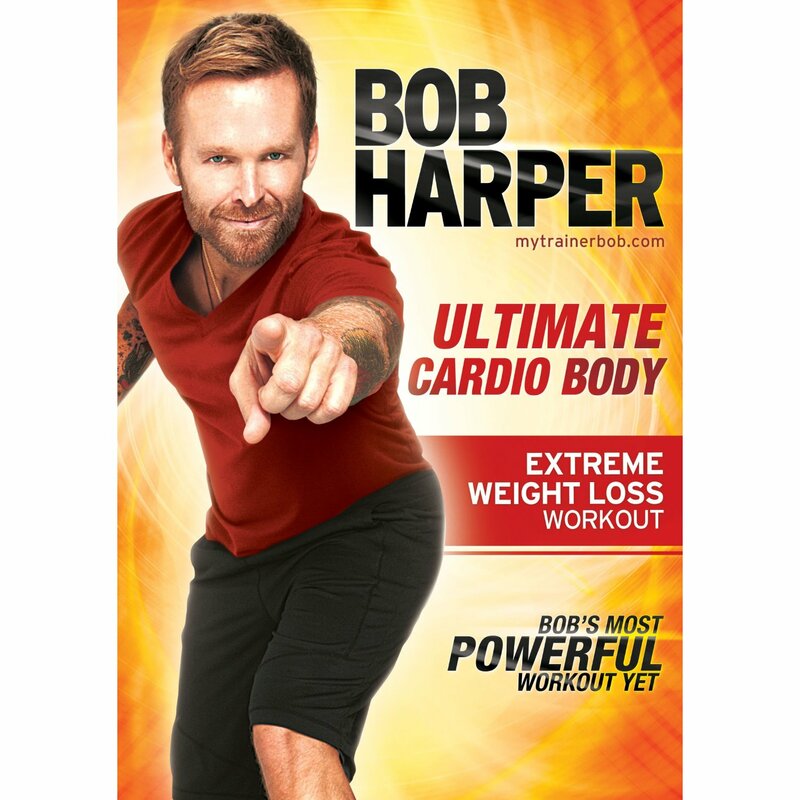 My husband and I have done enough Bob Harper videos, his voice often rings in our ears … and we find ourselves saying “Bob-isms” often, as well as giggling during workouts when we know what part is coming next. I said giggling… While working out. THAT. Is crazy to me. I have always enjoyed working out really, but my perspective is definitely been revamped over the years. It wasn’t as easy to move when I got so big. It hurt my knees, and I got out of breath quickly. As I chipped away at my excess weight, I focused on what God was doing to my heart – spiritually and physically. In one of Bob’s “Super Strength” workouts he mentions that the heart is the most important muscle of the body. God also says a lot in His word about our spiritual heart… together, I knew BOTH needed a good workout – daily. I didn’t want to be working out to bulk up or just be working out to hit some short-term goal though… I work out because I CAN and I know God made this body to move! I want to see what it can do, to bring Him glory. If you’ve ever not been able to move, or struggled with health issues that have been a set back, you know what I’m talking about. It’s a blessing to be able to move. Each day – I try to consider that for what a gift it is, and put that movement into a workout. I don’t schedule it in to “look forward” to a break. Rather, I embrace each day that I wake up thinking – awesome, TODAY I can move… what am I going to do to workout?? I don’t think “I have to work out 5 days this week…” I actually don’t keep track as far as each week, but rather focus on each day. If I have day that I didn’t get enough sleep or we have a busy day, I just make an extra effort the next day… It ends up being about 6 days a week, some weeks 5. I don’t hold onto guilt if every week doesn’t look the same, or I get sick, or we have to travel, or my workout wasn’t as long… or, or, or… That’s all a part of life. I pick back up where I can, and I do what I can… remembering WHO I’m doing it for. Posted on July 12, 2011, in Metabolism, Our Struggles, Truth, Uncategorized and tagged Bob Harper, exercise, healthy for God, healthy for him, weight loss, working out. Bookmark the permalink. Leave a comment.